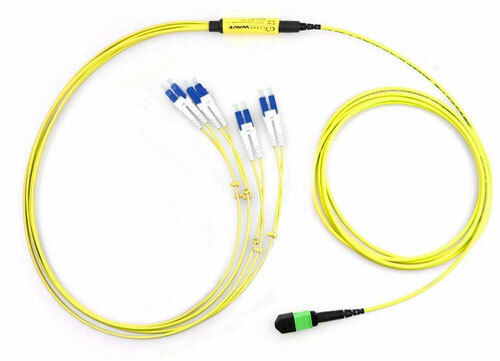 For the best data transmission performance and high bandwidth management, choose the LightWave 8-Fiber MTP/MPO to LC Singlemode Fiber Optic Fanout Cable. It is a solid choice for long distance data transmissions in 40G/100G/128G applications. This fiber optic cable comes in a roller "Type-B" polarity. 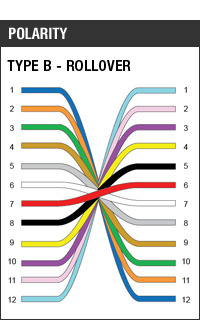 Rollover polarity is used primarily for connecting to switches and transceivers in 40Gb applications. In a 12-strand rollover polarity, the cable is wired from Pin 1 on one connector end to Pin 12 on the opposite end. Then 2 to 11, and so forth. This QSFP (MTP) to 4x SFP+ (LC) fiber optic cable contains an MTP brand connector on one end, holding 8 fibers. It 'fans out' to 4 LC connectors on the opposite end in duplex configuration. 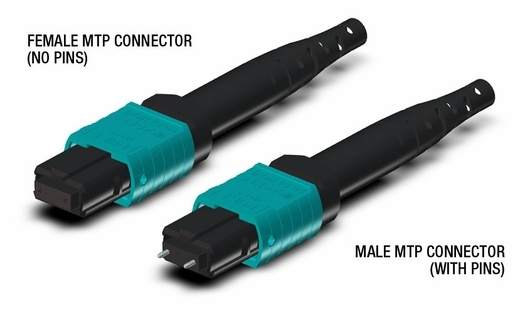 The MTP brand connector boasts features like removable housing and patented guide pins - which are not available on generic MPO connectors - to accomplish superior connectivity accuracy. The LC connectors, popular in data centers for their high performance quality, provide you with a fast, reliable solution for singlemode 40G applications. 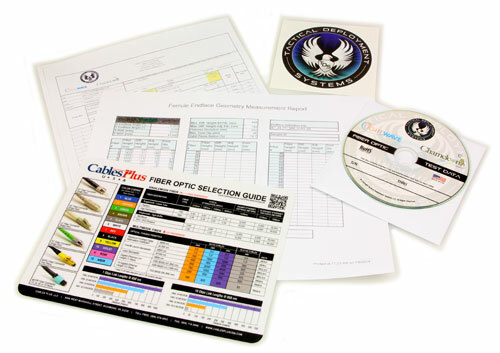 With Singlemode OS2 fiber optics, experience data transmissions over a 1Gbps link with a 9/125 micron glass fiber over a distance of up to 10,000 meters at a wavelength of 1310nm. For a 10Gbps link, you can transfer data over a distance of up to 5,000 meters at 1310nm, and 30,000 meters at 1550nm. 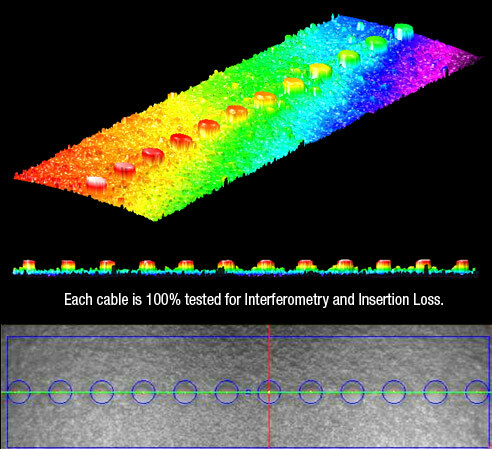 Each cable is assembled in-house at our local facility, and tested for interferometry and insertion loss, all in an effort to bring you the highest possible American-made quality and performance that LightWave cables provide.